Bungalow Escape is uniquely situated near the dunes of Burgh-Haamstede. The quiet and beautiful beach can be reached through the dune path within 5 minutes walking distance. This cozy spacious bungalow meets all needs for a relaxing holiday. O. a. Trampoline and beautiful swing for the little ones. The completely enclosed garden measures 4500 m2 and offers a lot of privacy. In front of the house is a professional tennis where you have the opportunity to play a great game of tennis. The forecourt offers more than enough space for 4 cars. In the summer there is a supermarket for daily shopping within five minutes walking distance (in the morning hot croissants!). The village Burgh-Haamstede with multiple stores can be reached by car in ten minutes. The house has a spacious dining room where you can enjoy (after) dining at the dining table overlooking the garden. The open kitchen, adjacent to the dining room, is equipped with all modern conveniences such as a large detached stove with 5 burners, 2 ovens, dishwasher and microwave. In the pantry is placed a washer and dryer. Holiday Bungalow De Vlucht will enter you through the hall in which a toilet and extra space for your boots, tennis shoes and / or gear is provided on the beach. The cozy lounge, including fireplace and comfortable sofas, has an open connection to the dining room. Both rooms have direct access to the large garden terrace. There is television, wifi and sound system available. In the bungalow you will find 5 bedrooms and 3 bathrooms and 4 toilets. From the dining room you can reach right into the first bedroom with bunk beds suitable for adults. This room gives access to an adjoining bathroom with sink, toilet and shower. The second bedroom has two single beds and one has a shower, sink and toilet is shared with the master bedroom. The third bedroom has bunk beds and is suitable for children. This room has a sink. Bedroom number four includes two one person beds and a sink. Users bedroom three and four to the shower and make progress using the toilet. The last bedroom; the master bedroom is very spacious. This bright and spacious bedroom has two 1 beds, a sitting area, wardrobe and private bathroom with toilet, bath and shower. This bedroom offers a full view of the backyard and access to your own terrace on the patio door you can. This bedroom is ideal for parents and / or grandparents who appreciate extra privacy during their stay. The beds three bedrooms are 90 cm wide and 210 long. There are 2 cots, one of which is a camp bed. All bedrooms have a window screen for open windows. recently laid new linoleum on the floors in the sleeping area. Flight bungalow is full of heating and / or central heating fitted and is perfect to enjoy in all seasons of your holiday in Burgh-Haamstede. Een top week gehad in deze heerlijke woning, jammer dat de tennisbaan niet te bespelen was 😕 maar een echte aanrader! Dit is een heerlijk huis, prachtig gelegen, mega grote tuin, zeer hoge schommel voor de kinderen , alles is er, smaakvol en zeer ruim. Keuken met alle gemakken, groot terras, tennisbaan! We hadden de tijd van ons leven. aanrader! Dank heerlijk om te horen. Sehr familienfreundliche Unterkunft und nette Gastgeber! Wir haben uns sehr wohl gefühlt und kommen bestimmt wieder! Een heerlijk ruim familie (t)huis, waarin zowel volwassenen als kinderen het niet beter kunnen treffen. De ligging, op een groot terrein aan de rand van de duinen, is uniek. De in de nabijheid wonende beheerder zeer aangenaam. Een echte aanrader!! Hartelijk dank aan de eigenaren voor deze geslaagde familievakantie! Fantastisch huis, op heerlijke plek! Dit gezellige en warme huis, met geweldige keuken ( alles is er!) super zitkamer en gerieflijke slaapkamers met goede bedden, en dat alles op een mega terrein, waar kinderen alle ruimte hebben, inclusief trampoline hoge schommel en zandbak! Loopafstand van het strand, kleine super om de hoek, wat wil je meer? We hebben enorm genoten. Vooral ook de sfeer van het huis is erg leuk en vertrouwd. Flight is located in New Haamstede, the area between the Lighthouse and the Airport. Although the name suggests otherwise Airport (raised only gliders with a winch) is a quiet area of ​​wide dunes, 1100 hectares of forest and wide clean beaches. Ideal for cycling and walking. 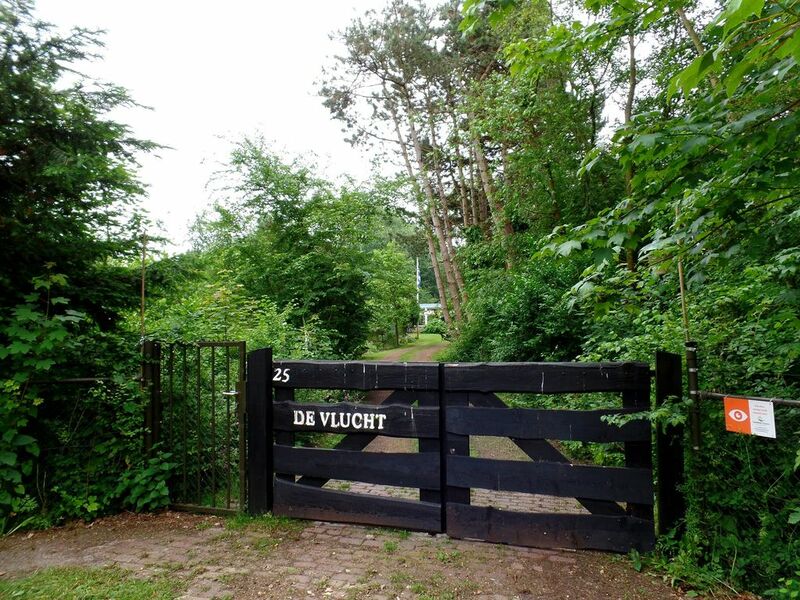 It lies about 10 km from the villages of Burgh and Haamstede, two typical villages that are almost together. In summer there are regular markets and folkloric activities for tourists. On the Beach Road are 3 transitions to the beach and sea. When Vuurtorenpad, the shortest transition, you'll find a beach and beach houses (to rent). The Middenpad is the quietest, but also the longest run (10 to 15 minutes) to the wide, nearly empty beach. Lovely to early morning or at the end of the day just to take a dip. The Indicator path is close to the Badweg. Although Schouwen-Duiveland since the 60s of the last century is no longer an island connected to the mainland via the Grevelingendam, the Zeeland Bridge, the Brouwers and the Oosterschelde barrier it still feels like an island. On all sides it is surrounded by water. That makes Schouwen-Duiveland so attractive. Thanks to the water, we have a stunning coastline, beautiful clean beaches and wide, varied and special natural and delicious salty local produce and lots of peace and quiet. In addition to walking and cycling ideal for sailing, surfing or to observe or to just do nothing for a bird. Furthermore, the former island has many original historic villages and towns with Zierikzee largest center with a beautiful historic center and a beautiful harbor. Bruinisse and Neeltje Jans at the Oosterschelde are the places where you can get delicious fresh mussels. The Oosterschelde lobster is world famous. There are markets and braderiên, concerts and exhibitions. At Dreischor is a beautiful wine estate with delicious white wines (KLM serves him even in his business class. In Ouwerkerk the Flood Museum located in the caissons which closed the last hole after the floods of 1953. In June there is the Art Show and at the end of summer Zealand Nazoomer festival. Using Google to find. Both well worth a visit. An ideal place to spend part of the summer holidays with your family. But also in the other seasons it is lovely to stay there.